The FOD Control Corporation (TFCC) is a leading provider of foreign object debris (FOD) prevention products and services for military and civilian aviation organisations, as well as manufacturing environments and industrial facilities. Beginning with the introduction of its Power Bar™ magnetic sweeper, TFCC has long been a pioneer in developing tools to counter the risk of foreign object damage. 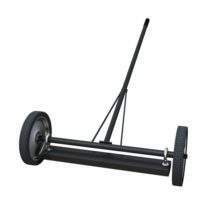 The easy-to-use, dependable, magnetic sweeper bars have been employed in hundreds of locations worldwide, including numerous US Air Force bases. 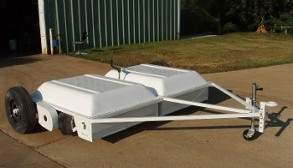 These vehicle-mounted towable magnets are supported by a lifetime warranty on magnetic field strength, which guarantees highly effective ferrous and metallic waste removal from runways and taxiways. Anyone who can drive can operate them. This powerful, permanent Power Bar™ magnet picks up ferrous metal debris wherever it is being operated, and the operator simply brushes off the collected metal into a secure container as needed. Developed as an alternative to expensive truck-mounted vacuum systems, the FODBUSTER™ line of FOD sweepers offers a cost-effective solution that improves debris collection while simultaneously reducing costs and simplifying sweeper maintenance. 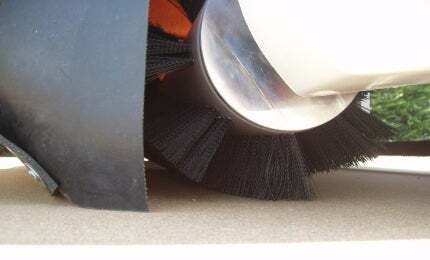 With a proven traction-driven sweeping system, the FODBUSTER™ quietly and effectively captures sand, rocks, metal parts, chipped concrete and other objects from FOD-sensitive operating environments. 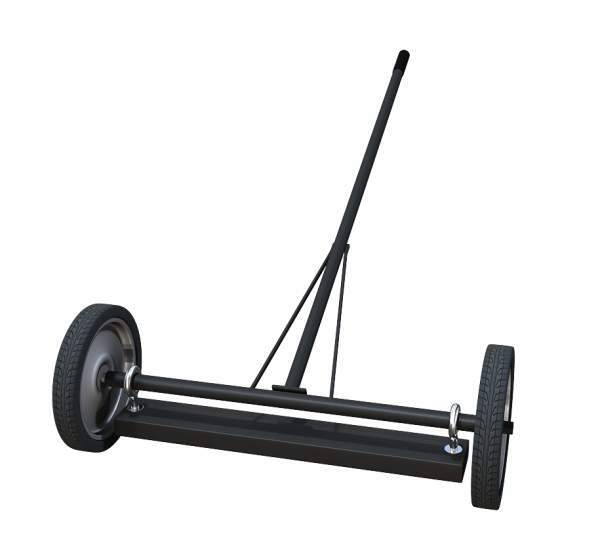 The FODBUSTER™ sweeper line is easy-to-use, inexpensive to maintain and simple to empty. It has evolved over the last 25 years with ongoing feedback and input from the US military, TFCC’s largest customer. 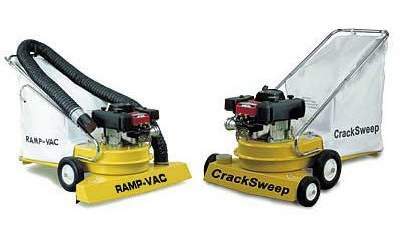 TFCC’s RampVac™ and Cracksweep™ walk-behind vacuums are designed for use in demanding environments. Made in the US and manufactured with a welded steel modular design, these two work-horses are designed for durability. Built to survive travel and operation in arduous locations, these vacuums will last for years longer than light-duty, residential lawn vacuum alternatives. The CS-30 CrackSweep™ is designed specifically for aviation environments and built to focus vacuum power to penetrate grounding points, tie downs, expansion cracks and holes. The RV-30 RampVac™ is designed to handle sweeping in hard-to-reach areas, such as hidden corners, spaces between equipment, buildings or fences. The RampVac™’s full 30-inch (762mm) intake covers a wide path, in addition to a quick draw side hose and automatic baffle. 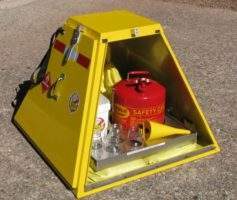 The FOD and Fuel Caddy (FFC-1) is specifically designed to be a durable replacement for poorly constructed and non-standardised, flight-line FOD containers and fuel sample stations. Manufactured of high-quality aluminium and finished with UV-resistant yellow powder coating, the FFC-1 is aerodynamically designed to deflect air movement more efficiently than make-shift barrels or rectangular boxes. It is designed with safety features such as louver vents, light-reflective tape, appropriate warning labels and door latch / tether assemblies to protect personnel from injury due to wind or rotor wash.
A stainless-steel spill capture / drip tray, poly sandbags (for ballast), glass fuel jars, 5-gallon (18.9l) OSHA-compliant waste fuel can, funnel and a handy 5-gallon (18.9l) FOD bucket with ‘BUST FOD’ decal are included as standard. The TREY™ system of component organisers reduces foreign object damage, inadvertent pilferage and waste. 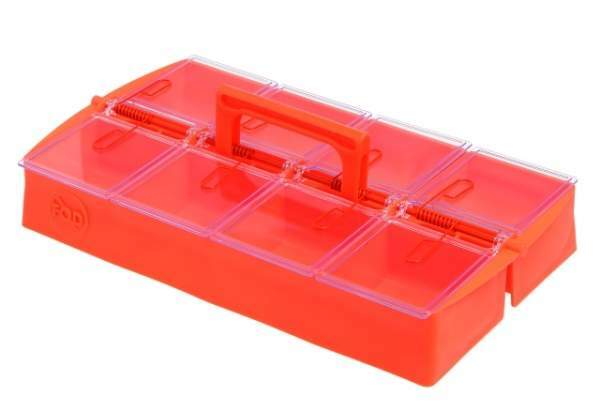 Available in a variety of materials, including solvent-resistant polypropylene and super-tough thermo-plastic rubber, the organisers feature individually spring-loaded, see-through compartment covers and ergonomically designed curved bottoms for quick removal of parts. The latest generation of the TREY™ system boasts unparalleled ergonomic and safety features. Since 1983, TFCC’s mission is to equip better military, manufacturing and commercial aviation facilities with cutting-edge solutions for high-performance maintenance. The company’s solutions ensure personnel and passenger safety, streamlines sweeping and cleaning operations, and prevents facility or equipment damage. 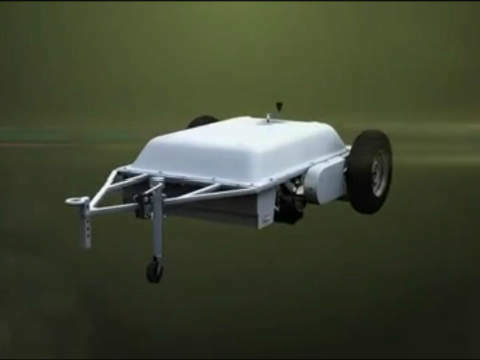 The FOD-Razor™ Airport Runway Sweeper is an effective foreign object debris control for military airfields, civilian airports, automotive proving grounds and other FOD-sensitive facilities. A video showcasing TFCC's FODBUSTER line of Airport sweepers.